Are you located in Southwestern Ontario and looking for a full-size cargo van, full-size passenger van, or even the base for your new RV? The 2019 Ford Transit XLT cargo van at Listowel Ford is a solid, yet versatile cargo and passenger van with a powerful engine and efficient automatic transmission combined with Built Ford Tough durability and dependability. Better yet, we have over sixty identical units in stock with phenomenal discounts available due to a cancelled fleet deal! Whether you’re in Listowel or the surrounding Perth County, or Waterloo Region and beyond, Listowel Ford has the best-priced 2019 Ford Transits on sale in the province of Ontario! The 3.5L Direct Injection V6 Engine delivers 310 horsepower and a maximum gas torque rating of 400 lb-ft. The 6-speed SelectShift transmission is designed for low end acceleration and high-end productivity, with two modes of operation to choose from. Listowel Ford’s 2019 Ford Transit vans are equipped with the RV package, which includes a modified vehicle wiring system, trailer wiring provisions package, privacy glass, carpeted front floor covering, and rear cargo door exit handles. In addition, all passenger vehicle content beyond the B-pillar (including rear floor covering, seating, rails, etc.) has been removed to make room for equipment, RV provisions, aftermarket seating, or whatever you plan to upfit it with! Combined with the High Roof, the Transit XLTs at Listowel Ford offer plenty of room to work with! These vans aren’t just workhorses. The dynamic, driver focused interior is aesthetically pleasing, with an adjustable drivers’ seat, tilting and telescopic steering wheel, and modern instrument panel with ergonomic gauges and controls that are easy to read and reach while you’re on the go! Ford has spared no expense when it comes to the safety of these units, so whether you’re transporting people, materials, tools or equipment, you can be confident in your safety, and that of your equipment and/or passengers. 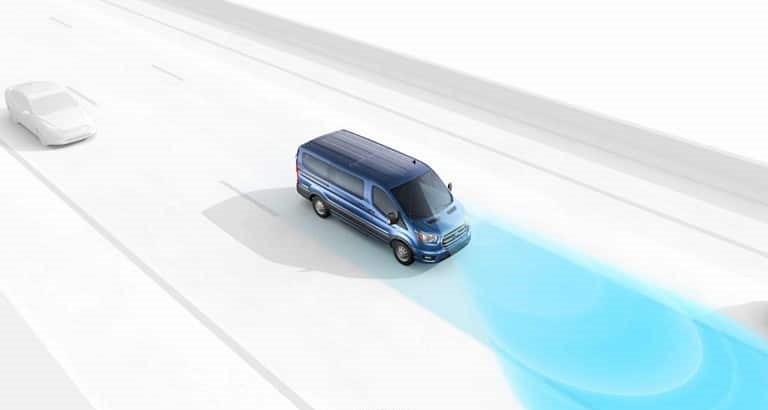 The 2019 Ford Transits at Listowel Ford are also equipped with rain sensing windshield wipers, a reverse camera, and front and side curtain airbags, as well as lane keeping alert and Advancetrac with Road Stability Control. We’ve provided some more information below! Lane-keeping alert with driver alert is included with all the 2019 Ford Transit XLTs currently available at Listowel Ford. A windshield-mounted camera watches road lane markings to measure the vehicle’s position and detect lane departures, warning the driver with a series of steering wheel vibrations, similar to those experienced when driving over rumble strips. AdvanceTrac with Road Stability Control improves vehicle control on all driving surfaces from snow and ice, to gravel and of course dry pavement. AdvanceTrac offers increased steering power, improved traction, responsive handling, and added stability to keep you and your passengers safe. The vehicle is equipped with sensors that monitor stability and correct its path by braking one or more wheels to keep you travelling in your intended path. 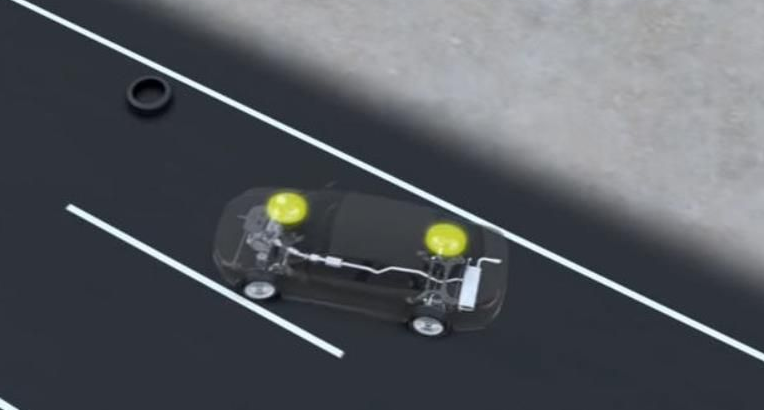 The system also includes Yaw Control, which senses if the rear wheels might slide out, and automatically applies brakes to reduce fishtailing in such conditions. This is complimented by Roll Stability Control which constantly monitors body roll angle and rate, taking action to reduce power and start braking one or more wheels to correct the situation. Originally specified to be rebuilt into recreational vehicles, these Transits are ready for towing. A trailer tow package is included which includes a heavy duty transmission cooler, hitch, and four and seven pin wiring harnesses. Whether you’re looking to haul a trailer full of toys, your off-road SUV, or your sedan, the Transit is equipped to handle it all! These Ford Transits at Listowel Ford won’t last long, so if you’re looking for a (basically!) brand new vehicle for a used price, check out our 2019 Ford Transit Cargo and Passenger Van inventory or call (519) 291-3520 today! If you’re looking for a Ford Transit with a different engine or additional packages, we have others in stock and would be happy to help with a custom order if necessary! In the market for a used vehicle but not a passenger van? Listowel Ford offers a wide variety of used vehicles of every make and model, including Ford Certified Pre-Owned vehicles. Being Listowel’s only Ford dealer, we offer new Ford sedans, new Ford SUVs, and new Ford trucks for all your driving needs! And, of course, as the Ford F-150 capital of Southwestern Ontario, Listowel Ford offers New Ford F-150s, Used Ford F-150s, and Ford Certified Pre-Owned Ford F-150s. Don’t hesitate to check out the rest of our website, or call us at (519) 291-3520 for more information or to book your test drive today!